Tour is available every Saturday during the months of April – June. Nangol is a ceremony unique to Vanuatu and further unique to Pentecost, an island in the Penama Province of Vanuatu. 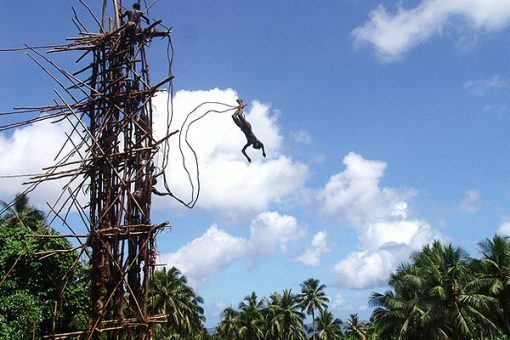 Nangol is the traditional practice of land diving and which many claim has given rise to the modern day bungee diving. The ceremony is performed during the months of April to June each year only – and at this specific time of the year when the vines used for the jump are most pliant. For the men and young boys who jump to prove their manhood / coming of age. This is a ceremony that cannot be described in words but best seen with one’s own eyes to truly understand and believe it. 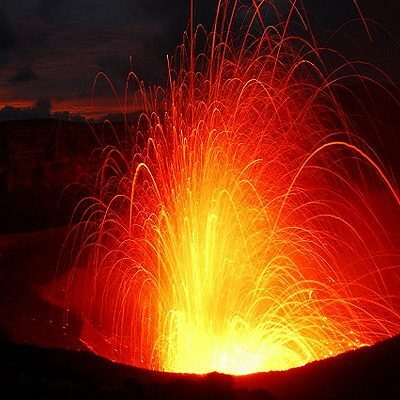 Atmosphere offers day and overnight packages to South Pentecost from Port Vila. Our packages cover airport transfers, airfares, tour guides to the Nangol and custom village, lunch, refreshments, and overnight accommodation, if applicable. Please note that the Nagol Tour sells out fast, so if our Budget Tour option is sold out, then the client will be given the option to either pay the difference & take the standard tour, or cancel the booking and have a full refund. Copyright © 2018 Atmosphere Vanuatu | Useful Information About Vanuatu | FAQ | Website by Polinet. Love at First Site.